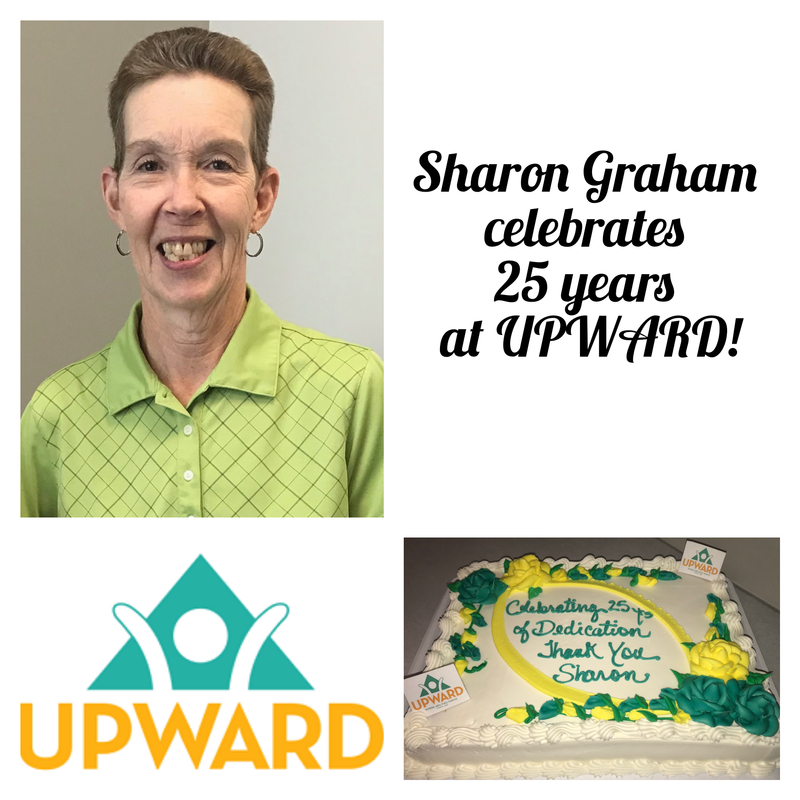 Sharon Graham celebrated her 25-year Anniversary as an employee of UPWARD on June 14, 2018. Sharon began her employment in 1993 in the role of Education Services Coordinator. Prior to being hired at UPWARD she enjoyed several years in teaching positions and served as Special Education Coordinator at Lincoln County R-3 Schools in Missouri. Sharon also served as Adjunct Professor teaching Orientation to Exceptional Children at Grand Canyon University, Phoenix. Over the course of her 25 years at UPWARD, Sharon assisted with the Capital Campaign and 4.1 Million Dollar Campus Expansion Project. She also has overseen significant growth in the Private Day School, Adult Training Program, Childcare and Pediatric Therapy Clinic.